No St. Patrick’s Day celebration is complete without a tall glass of beer, but as it turns out, the go-to beverage is more than just a thirst-quencher. When re-purposed as a hair rinse (sans green tint, of course), the blend of barley and hops used in the formula pack major shine-enhancing benefits for your strands. Both ingredients are full of proteins to help strengthen damaged hair, while the alcohol, loaded with B vitamins, serves as a quick deep cleanse. The method couldn’t be easier to master—after lathering up with your favorite shampoo, towel-dry your strands, then crack open a cold one. Pour the contents over your head, making sure most of your hair is covered, then massage it into your scalp and let it sit for a few minutes. Once you feel your strands have had enough, rinse out the beer, and follow up with a light conditioner. 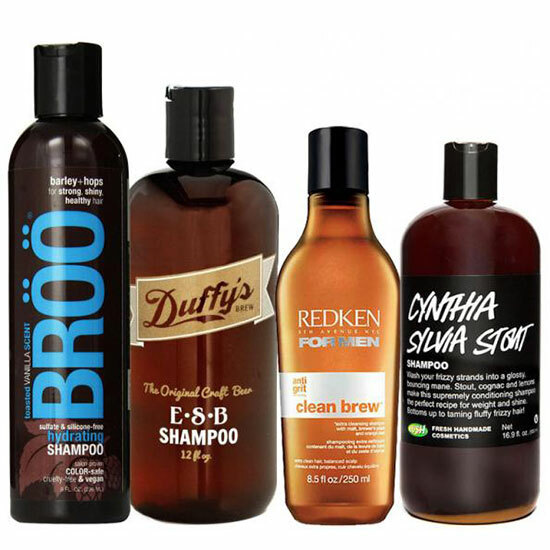 If the thought of dumping beer on your head makes you squeamish, a few of our favorite beer-infused shampoos can deliver the same results without triggering any unwanted flashbacks to freshman year of college. We love ultra-hydrating versions like BROO’s Oatmeal Porter formula ($10; broo.com) and Duffy’s E.S.B. Shampoo ($19; urbanoutfitters.com), and while Redken’s Clean Brew ($14; ulta.com) is technically for the boys, the glossy sheen it gives our strands is unparalleled. More of a Guinness drinker? Lush’s Cynthia Sylvia Stout ($30; lushusa.com), which is made from dark Irish beer, just might be more your taste.